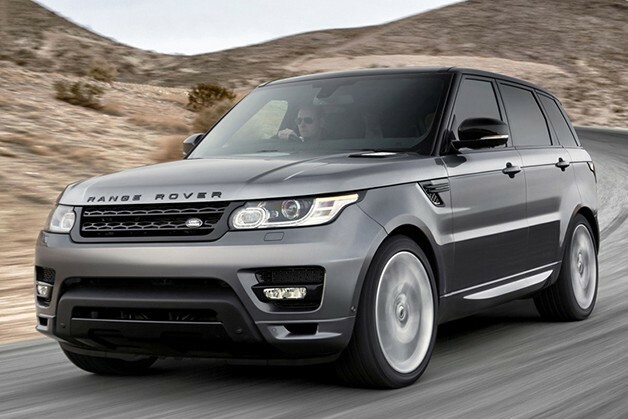 Land Rover Range Rover Sport is perfectly design and luxurious sports SUV. One of the best multi-purpose SUVs available in the market. As far as luxury SUVs go, The Range Rover Sport has a solid place. It is a brand that represents opulence; one that is regarded as an emblem of sophistication by those who demand for the finer things. The outgoing model had its story of success in both the British and American markets, with most buyers adoring its luxury and performance. For all its reverence, Land Rover found the formula that had since worked since 2006 to be insufficient for a 2014 model. The script was rewritten, the design rethought, and the 2014 version modelled using an entirely new mound of clay. Finally earning the moniker ‘new’ Range Rover Sport, the 2014 model has been subjected to a diet, as evidenced by the 400kg weight loss. It was a feat made possible by using an aluminium chassis instead of the steel ladder frame of the LR3/LR4 seen in the previous model. It’s a laudable achievement, considering the wheelbase is 7.1” longer. Coupled with the new 8-speed automatic gearbox, four-wheel disc brakes and independent suspension, this does indeed read like an achievement worth writing home about. The shape of the 2014 Sport is reminiscent of the smaller Evoque with its more discreet styling. The inside of is typical Range Rover stuff. An 8” touch unit sits at the centre while the analogue gauges have been traded for a 12.3” high resolution display. It is accented by the piano-black leather, like in the Range Rover, while a third row seat is included to take advantage of the increased wheelbase. The Sport is rich in assistive technologies such as lane-departure warning, adaptive cruise control, parallel parking assist, blind-spot monitoring, high beam assist, forward-collision sensing and so on. There isn’t a shortage of safety features most notably the electronic stability and traction control. The new design is much more attractive than the old Land Rover Range Rover. The model comes in two tastes- a 3.0L 340BHP V-6 diesel engine and a 5.0 510BHP supercharged V8 petrol. Both feature the 8-speed gear box, which, for the supercharged version, manages 0-100km/h in a snappy 5.1 seconds. Range Rovers are not exactly known for their good fuel consumption. Anyone who can afford to buy one isn’t discouraged by low mileage figures. That said, the V8 version is quoted at 13.8L/100km, but that is a bit hopeful. The 2014 Range Rover Sport feels like a different car to drive. The 400kg weight loss really does have a noticeable effect on the agility of this colossal machine. The electrically assisted steering wheel makes navigation very easy with the cornering feeling confident. The air suspension works well to improve better handling on said corners, which feels sporty even for a car as big as this. The ride is reasonably quiet, but less so for the V8 variant. Still it is nothing more than a murmur. The car is very nimble, and feels at home on the tarmac. Being an SUV though, the tarmac is not the only place where such sentiments are evoked. Five driving modes are enabled depending on the kind of terrain you are driving on. A rotary dial is in charge of the selection. If you find this too taxing, you can simply push it down, and the Sport will automatically detect, and adapt. The Terrain Response 2 all-wheel-drive system is dutifully effective, working in tandem with the air suspension to adjust ride height as well as other systems. The off-road capabilities of the Range Rover family precede it, though despite the improved technologies, it’s unlikely any owner would subject their beautifully crafted machine to such paint-scratching conditions. The new 2014 Range Rover Sport starts at £75,000 for the V6 version. It is a massive sum, but about what you would expect for a luxury SUV. The 2014 model tries hard to feel like the Sport variant of the Range Rover. But in truth, it still remains a luxury cruiser. It is still as lavish, and the mechanicals are beyond reproach. The fuel economy is still as dismal, but you cannot really expect any encouraging figures in this class. There is something special about being in a Range Rover Sport. The sheer presence of this beast has been enough to make it the king of a whole market segment. With the dramatic improvements in this 2014 version, it’s likely that its story of dominance in UK and US markets will continue. The author of this article is William James Jack, who is passionate about cars. His interest in cars lets him write freely on car related topics, like car reviews. He is based on U.K. and his deep understanding of the UK car markets helps him to write on car selling, Used Cars Hull, car finance, and the likes.